Cakewalks, for many, evoke visions of childhood and carnivals. Today, a cakewalk is where dancers promenade around a circle of numbers on the floor. Music is played throughout the walk, but when it stops dancers land on a number, hoping that number will be drawn by the caller, so they can take home the prized dessert. But just like a cake, cakewalking has delicate layers—of race, culture, and appropriated entertainment embedded throughout. Who knew this pleasing game had such a murky and complicated past that demonstrated how African Americans opposed their oppressors? Although the exact year and location are still undetermined, oral histories from enslaved people assert that the cakewalk began in the enslaved quarters of Southern plantations. The cakewalk was a grand-promenade type of dance, where couples would take turns performing. The couple with the best dancing skills would then "take the cake," an idiom that is still common today. But the cakewalk was more than a recreational dance; it also gave a chance for enslaved people to ridicule those who tyrannized them. The dancers would dress up in their finest clothes and parodied the mannerisms and dancing of the white Southern elite. The cakewalk was directly inspired by a specific European couple dance called the Grand March. However, the enslaved dancers would highly individualize the dance by adding their own twists, shuffles, high kicks, and other incorporated movements from African dances. Therefore, the cakewalk is a distinctly African American product that invokes the same creativity and inventiveness that can be seen in later African American dancing and music. While it might be assumed that slave owners would punish their slaves for this mocking behavior, in fact, many owners actually encouraged it. According to the ragtime musician Shepard Edmonds, who described the stories of his formerly enslaved parents, "They did a take-off on the high manners of the white folks in the 'big-house,' but their masters, who gathered around to watch the fun, missed the point." Often the white slave owners even assumed the role of presenting the cake instead of the enslaved people choosing among themselves, once again trying to demonstrate their authority. In fact, white people became so enthralled with cakewalks that by the end of the Civil War, it became a regular routine in minstrel shows, a type of variety show where white people performed in blackface. During these performances, the cakewalk became a grotesque event, where the costumes became outrageously colorful and gaudy. The blackface performance presented the dance as a ridiculous and unsuccessful attempt to parallel white culture. Cakewalk imagery was also used on sheet music, advertising, prints, and toys, with African Americans being depicted as cartoonish and racist stereotypes. 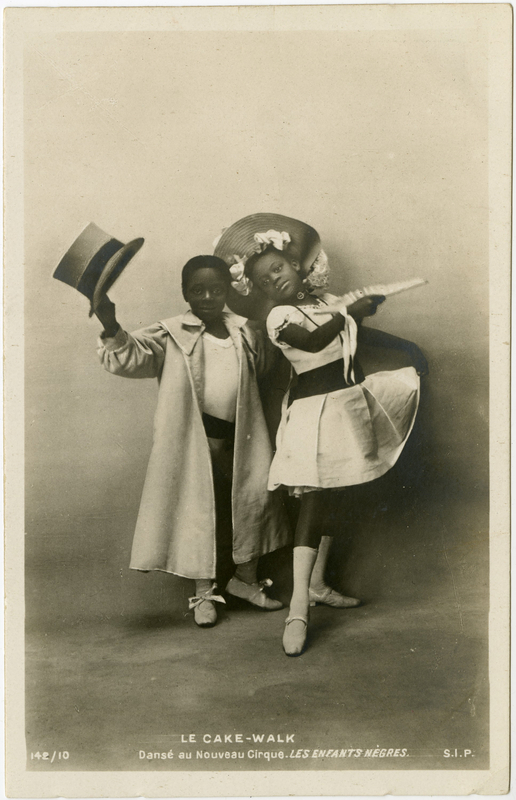 By the 1870s African American actors began to perform as minstrels, though often still in blackface. While some African Americans were able to distinguish themselves from the white performers by bringing some humanity to the caricatures, the black minstrels continued to depict racist content. 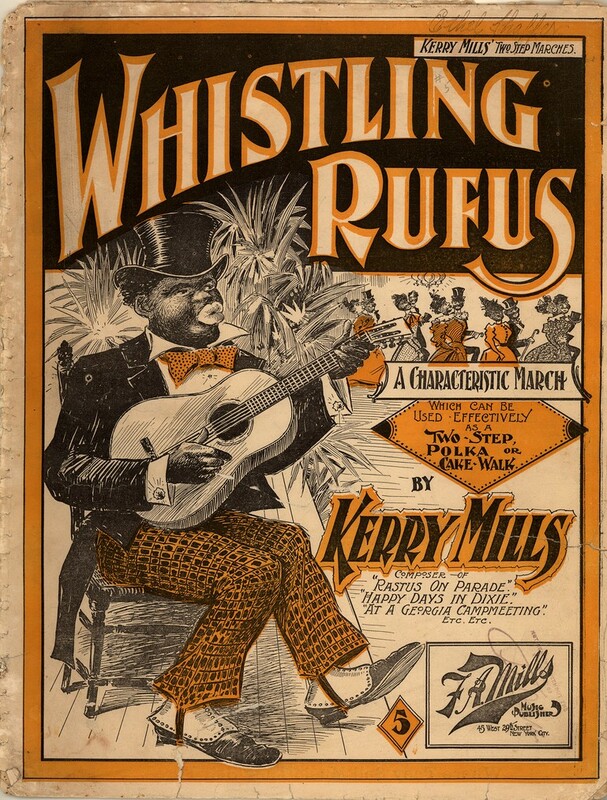 Many African American performers attempted to reclaim the cakewalk; as such, as ragtime historian Terry Waldo states, the dance became about "Blacks imitating whites who were imitating Blacks who were imitating whites." For example, in the way well-known African American performer George Walker executed the cakewalk, he was not seen as a clown, but instead a graceful dancer. As the African American newspaper The Indianapolis Freeman stated, Walker possessed "incandescent comportment" while dancing the cakewalk. As minstrelsy declined in popularity due to new entertainment forms like vaudeville, the shows began to take on other spectacular elements by adding specialty acts like acrobats and freak shows. Eventually, the cakewalk became a norm of carnivals, but popular culture seemed to forget its history. 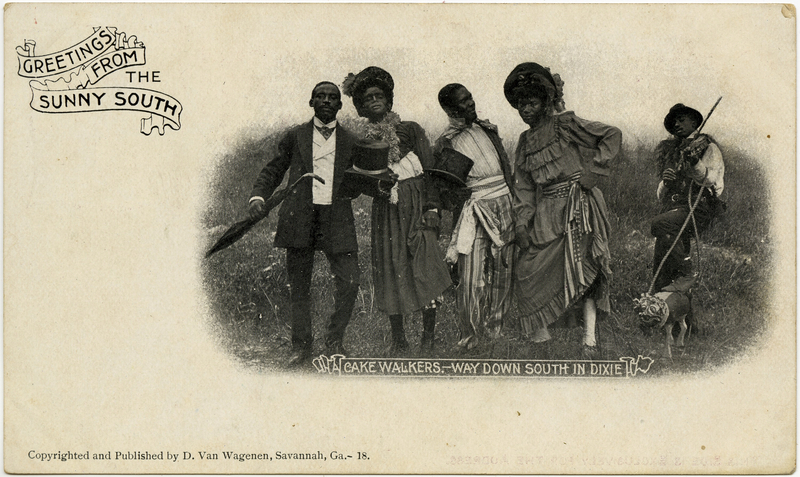 So next time you think the cakewalk is a "piece of cake," consider how this dance expressed the representational and literal freedom of African Americans throughout the 19th century. Regan Shrumm was an intern in the Division of Culture and the Arts. She recently finished her master's degree in Art History and Visual Studies at the University of Victoria in Victoria, British Columbia, Canada.